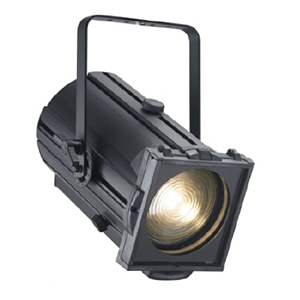 FR-150C LED is a 150 watt COB Cool White LED powered Fresnel par light with manual zoom. The zoom ranges from 10-55°. The brightness equals to 1000W halogen par64 lamp. 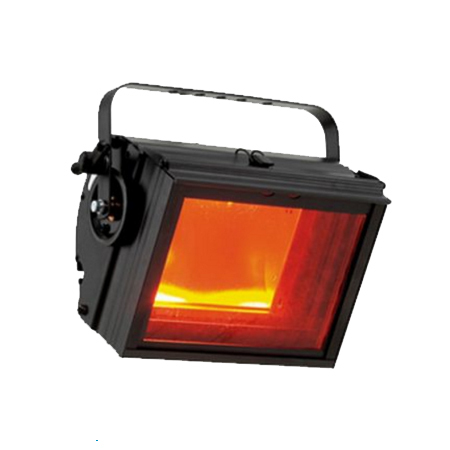 FR-150W LED is a 150 watt COB Warm White LED powered Fresnel par light with manual zoom. The zoom ranges from 10-55°. The brightness equals to 1000W halogen par64 lamp. The FR-40F LED is designed for short distance wash. It is a super compact, easy for setup LED fresnel powered by 40 Watt RGBW LED. Featuring 25° to 90° zoom, rotary control of dimmer. It delivers a smooth, soft and flat field of light. A barn door is included to shape the light. 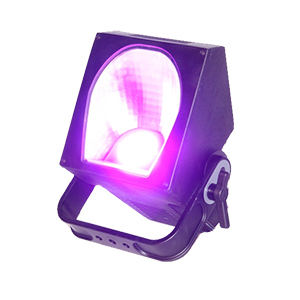 FR-100C LED is a 100 Watt 5600K powered LED Fresnel with zoom function. It is RDM-DMX compliant, 25° to 80° motorized zoom along with its superior 96 CRI. A barn door is included to shape the light. 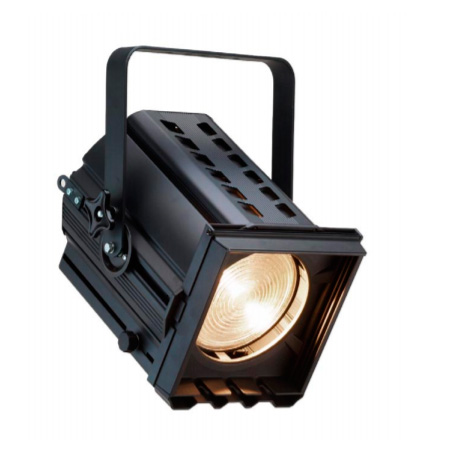 The FR-100W LED is a 100 Watt 3200K powered LED Fresnel with zoom function. It is RDM-DMX compliant, 25° to 80° motorized zoom along with its superior 96 CRI. A barn door is included to shape the light. 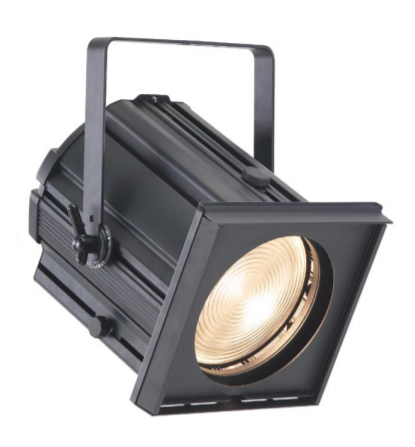 The FR-400C LED is a 400 Watt 3200 K powered LED fresnel. Features motorized zoom range from 20° to 60°. It has high power light output, high CRI, various control protocols and soft wash effect. A barn door is included to shape the light. 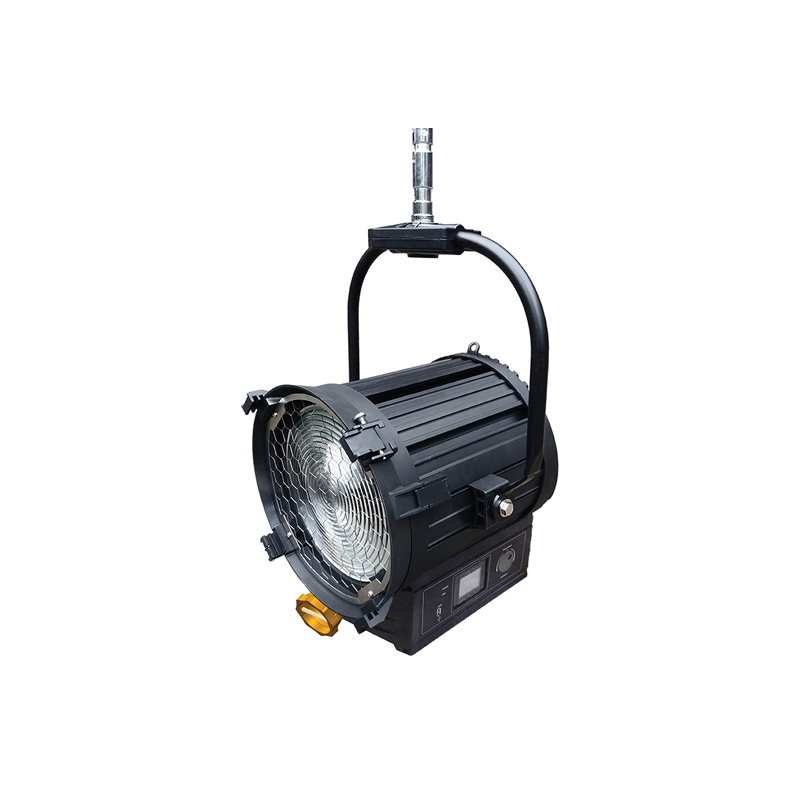 The FR-400W LED is a 400 Watt 3200K powered LED Fresnel. Features motorized zoom range from 20° to 60°.It has high power light output, high CRI, various control protocols and soft wash effect. A barn door is included to shape the light. 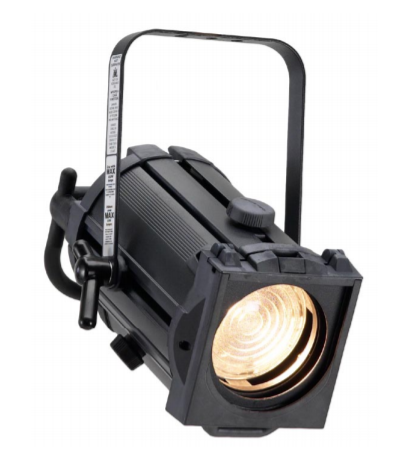 The FR-200C LED is a 200 Watt 5600K powered LED Fresnel with zoom function. It is RDM-DMX compliant, 15° to 60° motorized zoom along with its superior 96 CRI. A barn door is included to shape the light. 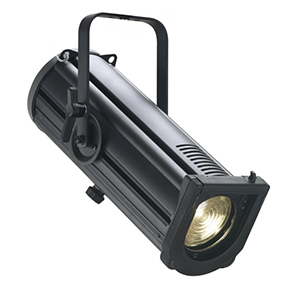 The FR-200W LED is a 200 Watt 3200K powered LED Fresnel with zoom function. It is RDM-DMX compliant, 15° to 60° motorized zoom along with its superior 96 CRI. A barn door is included to shape the light. 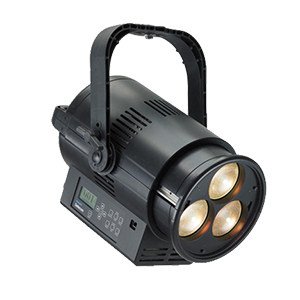 The FR-200F LED is a 200 Watt RGBW powered LED Fresnel with zoom function. It is RDM-DMX compliant, 15° to 60° motorized zoom. A barn door is included to shape the light. The FR-50T LED is designed for short distance wash. It is a super compact easy to set up LED fresnel powered by 50 Watt 2700K~6500K tunable LED. Featuring 25° to 90° zoom, 95CRI, 90 R9, rotary control of dimmer. It delivers a smooth, soft and flat field of light. A barn door is included to shape the light. The FR-40W LED is designed for short distance wash. It is a super compact, easy for setup LED fresnel powered by 40 Watt 3200K tungsten. Featuring 25° to 90° zoom, 97CRI, 90 R9, rotary control of dimmer. It delivers a smooth, soft and flat field of light. A barn door is included to shape the light. The FR-40C LED is designed for short distance wash. It is a super compact, easy for setup LED fresnel powered by 40 Watt 5600K daylight LED. Featuring 25° to 90° zoom, 97CRI, 90 R9, rotary control of dimmer. It delivers a smooth, soft and flat field of light. A barn door is included to shape the light. The LED TV Fresnel, provides the light output equivalent between 1,000W and 2000W tungsten fresnel, depending on its power. It is designed specifically for TV broadcast lighting. A very high TLCI rating provides an excellent quality of light, ideal for the camera. The minimal power consumption and full warm white output results in significant reductions in power consumption over traditional 1 / 1.2kW Tungsten Halogen luminaires. The Arena High Performance Fresnel is a 2.0kW/2.5kW Fresnel luminaire using a 250mm lens. Beam quality is excellent with a well controlled flat even field with a distinct “white blue” tint. The Arena High Performance Fresnel offers superior light output, strength and industry leading performance. The PLFRESNEL1 LED Luminaire is a general purpose lighting fixture for theatre, small studio, and display lighting applications. The PLCYC LED Luminaire delivers smooth even cyclorama lighting in a compact light weight design. The Acclaim Fresnel is a 575w/650w general purpose Fresnel (110mm diameter lens) for theatre, small studio and display lighting applications which produces an adjustable cone of light with a soft edge that is easily blended with adjacent beams to provide even illumination. Built from tough aluminium extrusion and molded engineering plastics, the Acclaim Fresnel is robust, dependable, safe and easy-to rig. 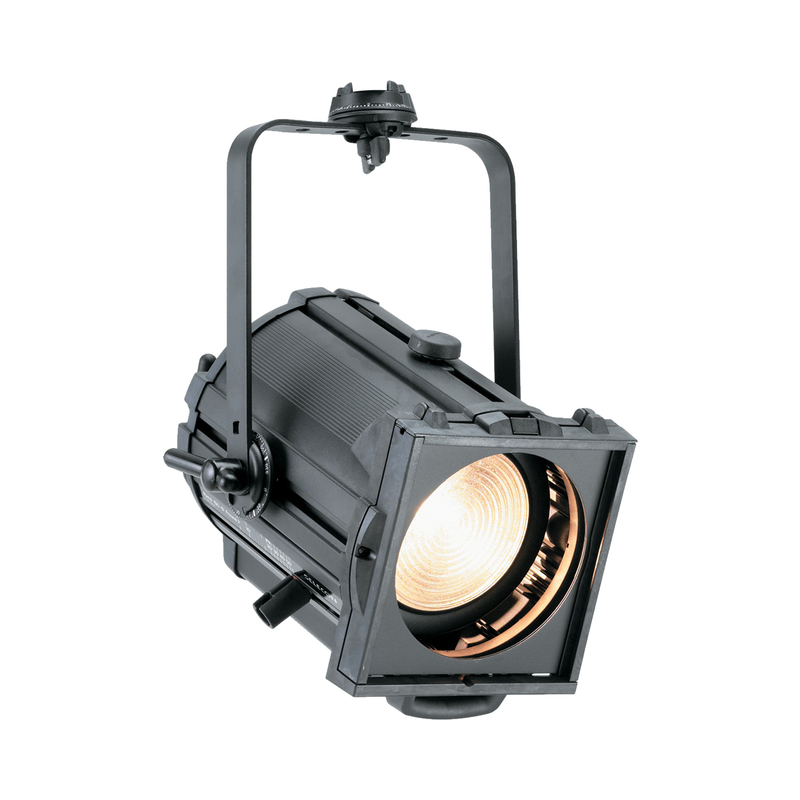 The Arena Theatre Fresnel is a 2.0kW/2.5kW fixture using an 200mm diameter lens. The adjustable cone of light has a soft edge, easily blended with adjacent beams to provide even illumination. This fully featured fixture is constructed of pressure die-castings and aluminium extrusion, offering superior light output, strength and performance. The Rama high-performance Fresnel provides an adjustable cone of light that has a soft edge, easily blended with adjacent beams to provide even illumination.